If you’re serious about skincare, you likely know that vitamin C (as found in our Bespoke Vitamin C Serum 15%) is a must have in your routine and in this post, let’s help you find the best vitamin c serum for your face. Vitamin C belongs to a group of molecules known as antioxidants, substances which stop oxidation, a chemical reaction that results in the production of free radicals. Often referred to as ROS – reactive oxygen species – free radicals are harmful substances which can damage cells. 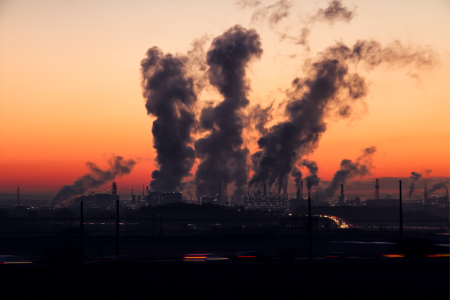 The sun’s UV rays, pollution and cigarette smoke are some of the biggest contributors to the development of free radicals. Antioxidants like vitamin C are able to protect against free radical damage by donating one of their electrons to stop the chain reaction that results in damage. They do this without making themselves unstable. Damaged proteins, lipids and DNA in skin accelerate the aging process resulting in a change in skin structure. They can also trigger inflammation, leading to a breakdown of collagen. The end result? More wrinkles, fine lines, hyperpigmentation, saggier skin along with some types of skin cancer. Our bodies manufacture some antioxidants, which deliver a range of body-wide benefits, but vitamin C isn’t one of them. In order to obtain adequate amounts of Vitamin C, it’s important to consume foods like fruits and vegetable (citrus fruits, guavas, bell peppers and kiwi fruit contain high amounts), which are rich in this important vitamin. Its antioxidant properties help limit the damage caused by free radicals and may help to prevent the development of certain diseases including cancer. A lack of vitamin C leads to scurvy, that condition experienced by sailors on long sea voyages in the mid-19th century. Increases skin hydration. Studies suggest that vitamin C helps skin retain moisture by reducing transepidermal water loss (TEWL). Additionally, it may promote the synthesis of lipids, which helps to further protect against dryness. Skin Lightening/Brightening. Vitamin C reduces the production of melanin, which can help to lighten and brighten skin tone. L-ascorbic acid is the form of Vitamin C that has the most research to back up its skin benefits, but many other effective forms of Vitamin C are available as well. This includes ascorbyl glucoside, amino ascorbyl phosphate, sodium ascorbyl phosphate, tetrahexyldecyl ascorbate, magnesium ascorbyl phosphate, etc. All can help skin and should be evaluated individually when deciding which is the best vitamin c serum for your face. If you decide that the best vitamin C serum for your face is one that contains L-ascorbic acid, ensure that you purchase from a reputable brand. L-ascorbic acid, while highly effective, is also notoriously unstable. If a serum you are using contains this ingredient and is dark in colour or smells odd, don’t use it as it has likely oxidized and will be ineffective and potentially harmful to your skin. 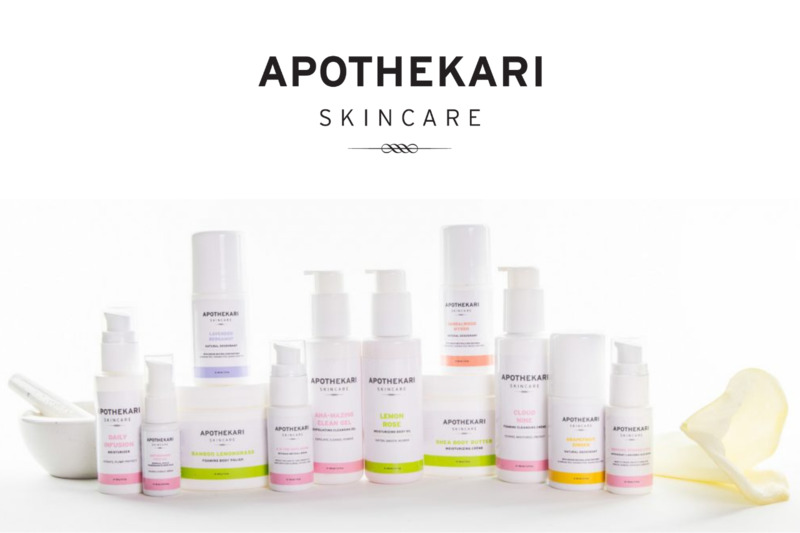 At Apothekari, each bottle of our L-ascorbic acid serum – Bespoke Vitamin C Serum – is made to order ensuring that every bottle is safe and effective for 6 -8 months after purchase. 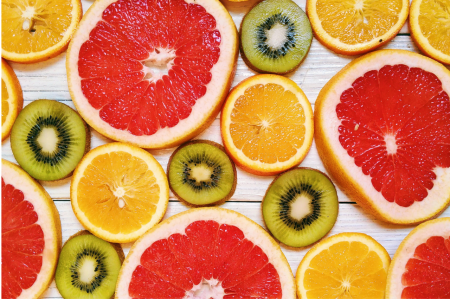 Vitamin C works best when combined with other antioxidants including Vitamin E, ferulic acid, green tea, resveratrol and coenzyme Q10, to name a few. Skin benefits most from formulations containing a combination of ingredients, which work together to deliver benefits. Wherever possible, Vitamin C serums should be applied in the morning prior to UV exposure as UV rays are one of the biggest generators of free radicals. Are you ready to choose the best vitamin C serum for your face?